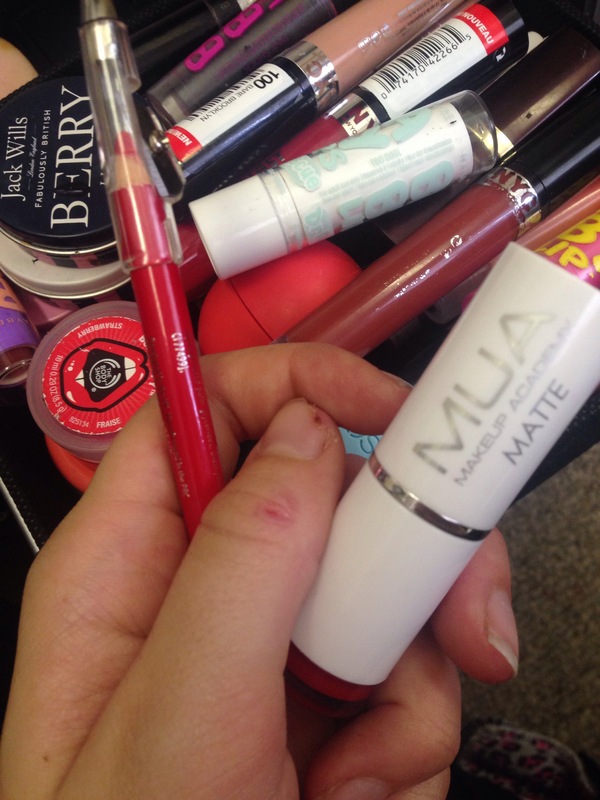 Hello beauties, today I have a haul for you. I probably shouldn’t of brought all this stuff however I did and I love it all. Right now I’m sitting all cosy, I got caught in the worst rain I’ve seen in ages! The point of me telling you this is that all my new clothes that I was wearing got drenched nevertheless they are currently drying on the radiator, it’s not all bad I have a bar of Oreo dairy milk-yumm yum. TIMBERLAND BOOTS, I bloody love them. I always um and ah about these as I adore them but the price tag hurts me. I would never be able to afford these alone so me and my boyfriend brought one shoe each. Worked out £65 each from office. It was the last pair and I think the women serving me wanted them as she seemed a bit annoyed that I was buying them…oops. I bet your thinking the colours a bit odd, I really love the colour it’s different to the classic Timberland boot colour whilst not being to bright. The colour works perfectly with most outfits, they are causing a few blisters but hopefully that subsides soon. i love Topshop clothing, I wouldn’t buy something that wasn’t in the sale though due to my tight budget being a student and all. This was £20 in the sale-I adore it. I find difficult to find skirts that fit around my bum and waist perfectly, but this skirt has a thumbs up from me. Plus it matches my next item. I do have a obsession with this colour, I always tend to put my boyfriend in the direction of burgundy coloured clothes also, it’s great! These shoes were from New Look and cost £19 pound, what a bargain! I wanted a pair of heeled boots that were not too high for going out and nicer occasions as I am always in either converse, trainers or my new found love for my Timberland boots. I did have to size down in the shoes due to them not having my size however it was well worth it for these beauties. Hello beauts, my blog is back. To kick things off I am starting with a well overdue foundation review followed by a very exciting beauty and clothing haul tomorrow. So let’s get to the point the L’Oréal Infallible foundation..
Now first off the bottle is a yes from me, I definitely prefer plastic to glass foundation bottles. Yes glass is visually pleasing however is it worth the sudden rush of panic every time your bag of goods is dropped(plus if your clumsy like me-that’s often). I brought this after many good reviews it cost £9.99 from Superdrug on a 3for2 deal, because it was 3for2 I thought I would go all out and buy the L’Oréal beauty blender too-it wouldn’t feel right not too. We will just ignore the upside down photo and the dirty beauty blender. The consistency for this product was a shock to me, it’s a thick mousse not in the slightest oily which is perfect for my acne prone skin. This applied smoothly, blendable and true to colour so there was no nasty surprises. Now this claims to be ‘total cover’ so it’s only right to talk about that, it’s BRILLIANT all the red blotches gone. Due to the consistency I expected a heavy feel but that wasn’t there, I forgot the foundation was there. I’ve tried many foundations and I actually gave up using it for a year due to not being able to find the perfect one for my difficult skin, and I bit the bullet and brought this beauty. My new makeup holy grail. L’Oréal Infallible. 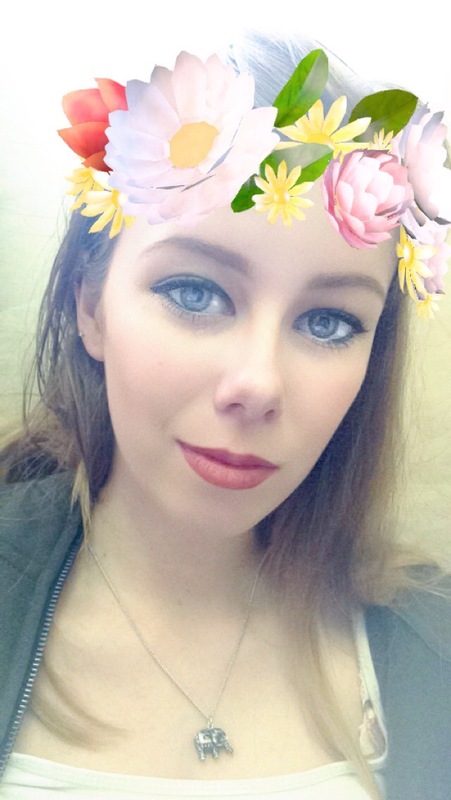 MUA Matte Lipstick – Scarlett Siren Review! And this is how it looks on the lips! I love the colour of this lipstick although the colour is a more bright pinky red compared to the deep red that it looks in the tube. I love this product, I think the extra lipstick at the bottom is such a great touch, I love the white tube and silver writing it’s so sleek and simple. It’s such good value for money £1 each from SuperDrug! This is a stunning shade, it’s smooth and moisturising. As I said before it’s not as pigmented as it looks in the tube but the colour is still beautiful. I used a lip balm before applying this lipstick as it can be difficult to apply but with a little bit of lip balm and lip liner, it’s the perfect red lipstick! 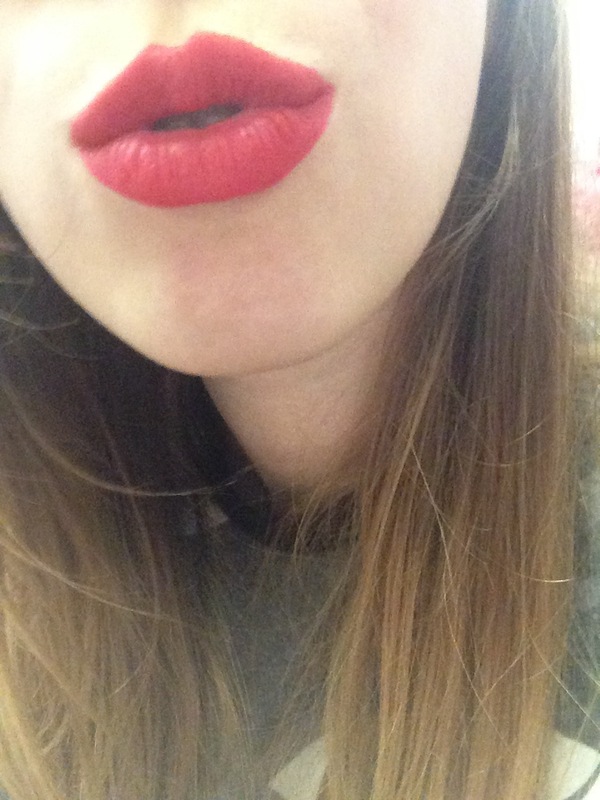 I prefer matte red over shiny, glossy red so if you prefer matte red too, this lipstick is for you! This lipstick is kiss proof and drinking proof, it doesn’t last all day but a good five hours which is great for a £1! The product is very lightweight, smells great and doesn’t bleed! Thumbs up from me! Hello girlies, I have to say I’ve never seen my eyebrows this good before! 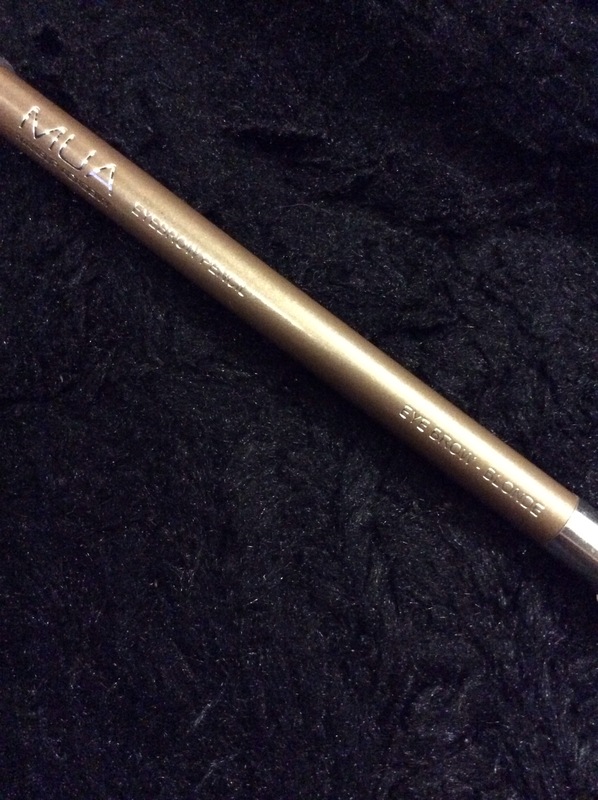 This is my Reveiw on the MUA brow pencil which retails at £1 from SuperDrug. First thing that caught my eye about this product is the brush on the end, I didn’t think it would come in so handy but it does, it makes a huge difference in how natural the brows look, also in the shape and even to get a even colour all round. The pencil is so smooth, I find some eyebrow pencils can be really difficult to apply as you have to press quite hard which hurts a little. This one is not like that it’s smooth, pigmented and a perfect colour match. I like to draw the shape of my brow, fill in the outer 3/4 and then comb the product through the first 1/4 to get a natural look. I have not found a single fault with this product yet and I have been using it for around 6 months. I have heard some people say the pencil smudges in hot weather, but if you live in Britan there is not much chance of hot weather to smuge your gorgeous brows. I love this product so much and will re-purchase without a doubt. 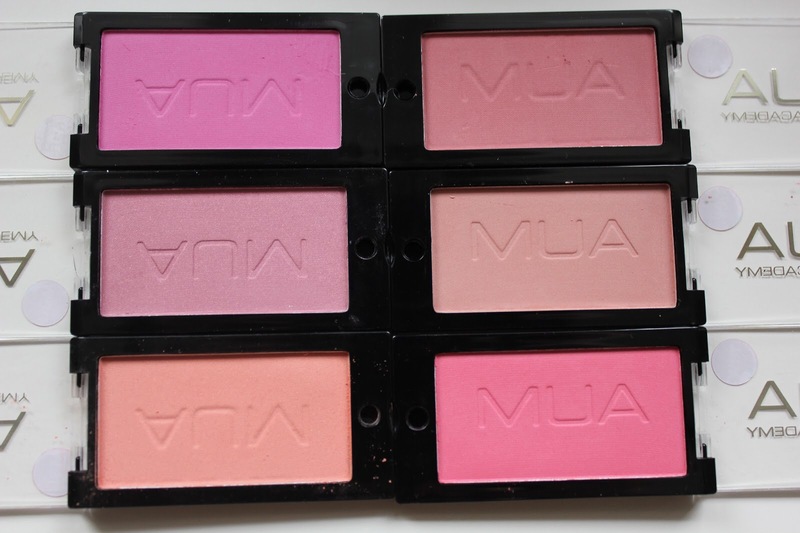 Today I will be reviewing the MUA blushes that retail at £1 each from SuperDrug which is a amazing price for this product! First thing I love instantly is the packaging it’s so basic and compact which makes it eaiser to travel with. I also really like the range of coulors, some being sutle shades some brighter shades. They have colours for very natural looks and some for nights out, events or just if you prefer a brighter blush. I have 3 of these blushes and they are very blendable, incredibly pigmented and so smooth to apply also you can built them up depending on how bright you want your blusher to be. This blusher lasts all day I also like how great is works on fair skin as blush for fair skin can be very difficult to find in a natural shade. You only need a very little bit of product which I love because it makes it all more worth it! I have had mine for 5 months and it hasn’t hit pan yet! The only downside is the shape of the blusher is awkward and makes it quite difficult to get the product on the brush, but apart from that it’s a 10 from me! 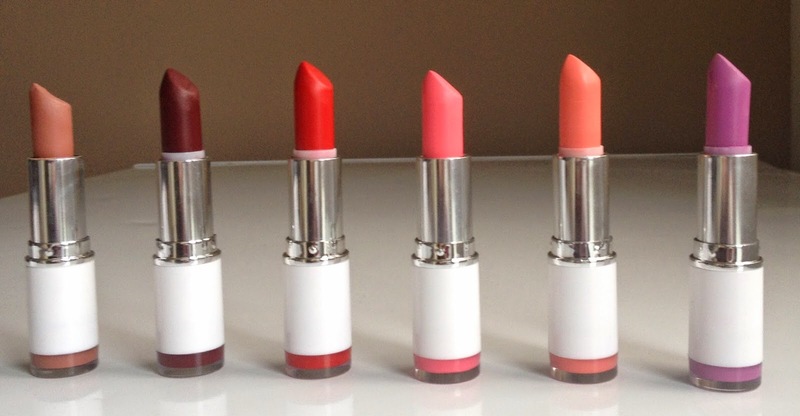 I love matte lipsticks and I love these! £1 each, what’s not to love. First off I love the tube it’s so basic and I love the idea of the little pot of the product in the bottom. For me it has lasted since I put it on at 12 today, it was so moisturising and easy to apply, there is no feathering or signs of fading. The colours are so pigmented aswell as having a gorgeous selection, the product doesn’t bleed and smells great. I struggle to find lipsticks that stay on my lips for more than a hour. But this one is incredible even better than some of the more expensive brands I have tried so a thumbs up from me and I would strongly recommend this product!